Everybody remembers that famed Manson Family prosecutor Vincent Bugliosi, who passed away this week at the age of 80, wrote Helter Skelter. But Bugliosi was a prolific author whose other volumes are well worth picking up — especially true-crime murder mystery And the Sea Will Tell. Bugliosi’s involvement in the case came after he left the Los Angeles District Attorney’s office. Though he’d forever be known as the man who convicted Charles Manson, in private practice, he proved equally adept at defense. His most famous post-Manson case gained even more notoriety because of the book he wrote about it, a best-seller which was subsequently made into a TV movie — but also because of its strikingly unusual and dramatic circumstances. First of all, the setting: isolated Northern Pacific atoll Palmyra, located South of Hawaii and loosely governed by the United States. The crime: the theft of the yacht Sea Wind, and the suspected murder of its wealthy, San Diego-based owners, Muff and Malcolm Graham. The suspects: a desperate duo who went after what they wanted by any means necessary. The takeaway: that even in paradise, evil lurks. Bugliosi defended one-half of the couple accused of murdering Muff Graham, whose skeletal remains were discovered in 1981, six years after she and Malcolm vanished. (His body has never been found.) 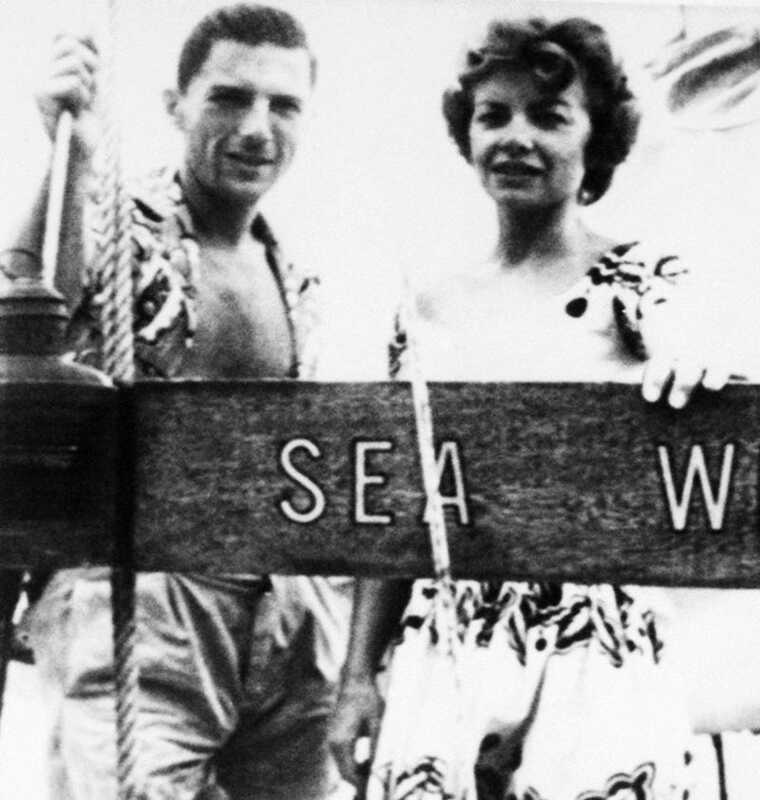 The accused were ex-con Duane “Buck” Walker and his girlfriend, Stephanie Stearns, who’d sailed to Palmyra at the same time as the Grahams with inadequate supplies and a falling-apart craft ... and showed back up in Hawaii in command of the Grahams’ sleek Sea Wind. Their explanation of why it was they, and not the Grahams, aboard the yacht was both far-fetched and flimsy (involving capsized dinghy, shark-infested waters, and the notion that they were planning to return the boat to the Graham family), and they were convicted of theft. Murder charges would not come until 1985. Walker, back in custody after managing to escape jail while doing his stretch for theft, was found guilty (he was paroled in 2007 before dying of cancer), while Stearns, with Bugliosi heading up her defense, was acquitted. These are just the bare-bones, of course; naturally, Bugliosi’s book goes into a lot more detail about the case and especially the trial. Recommended reading, especially if you’ve got a boat trip among your summer plans. Got other Bugliosi-penned recommendations beyond Helter Skelter and Sea? Share ’em in the comments!